I’m Ruthie from Cooking with Ruthie.com and I just LOVE Jen so much~ she’s such an amazing person, as you all know! I’m so thrilled to be here at TT&J for the Happy Holidays Event. 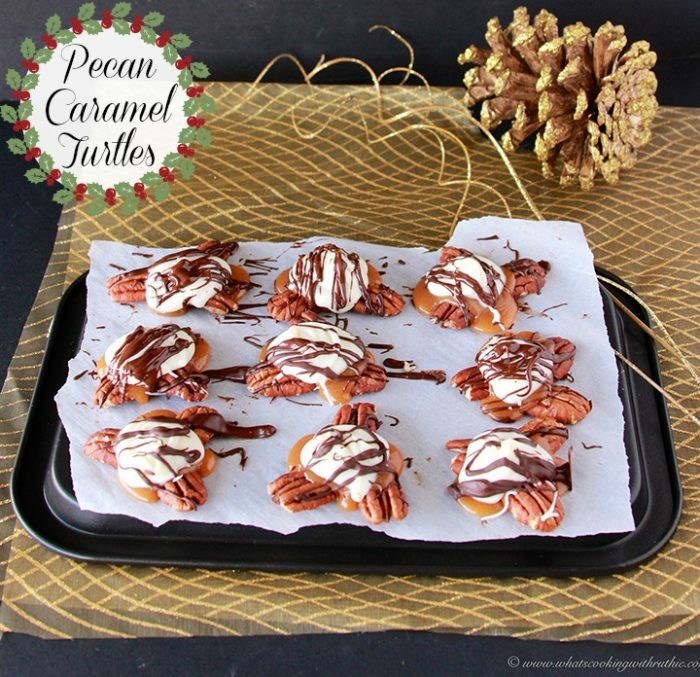 I’ve brought a simple to make holiday classic with me… Pecan Caramel Turtles. Oh my goodness. 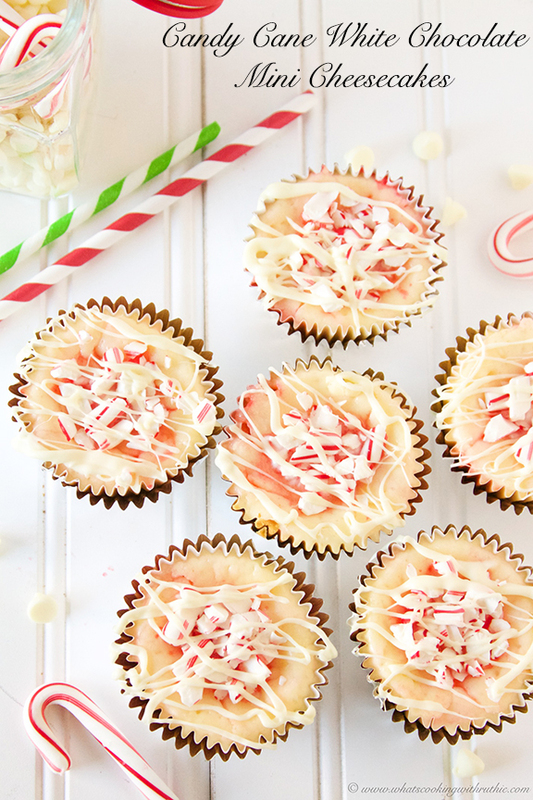 They’re wonderful and will please everyone on your ‘nice’ list this year. Evenly spread pecans on baking sheet. Bake in oven 5-6 minutes or until lightly toasted and aromatic; stirring gently once. 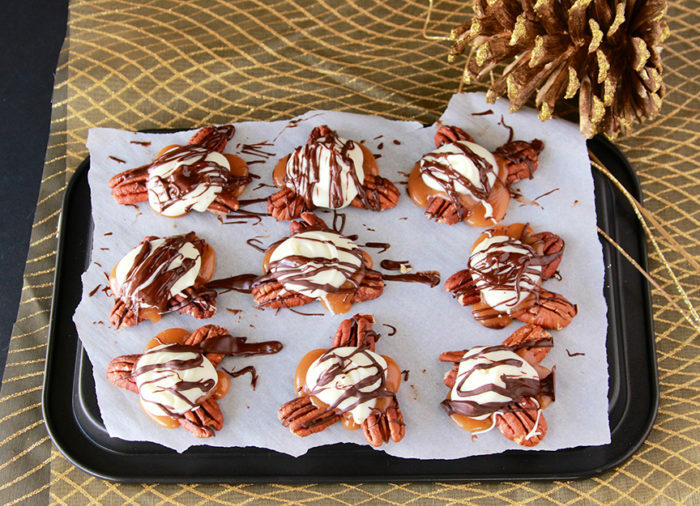 Remove from oven and arrange pecans in clusters of three, with tips facing each other. Place 1 caramel square on the center of each cluster. Bake just until melted, approx 2-3 minutes. Melt white chocolate chips- I use the microwave. In a small microwave safe bowl place chocolate chips and oil, microwave 30 seconds; stir. Microwave 15 seconds more; stirring until smooth. Repeat one more time if needed. Place a teaspoon on melted chocolate on top of each cluster, swirling the top off to finish. Melt semi sweet chocolate chips in the same manor above; using a fork- drizzle in a back and forth motion across clusters. I hope all your Holidays are Merry and Bright! That looks so goood. 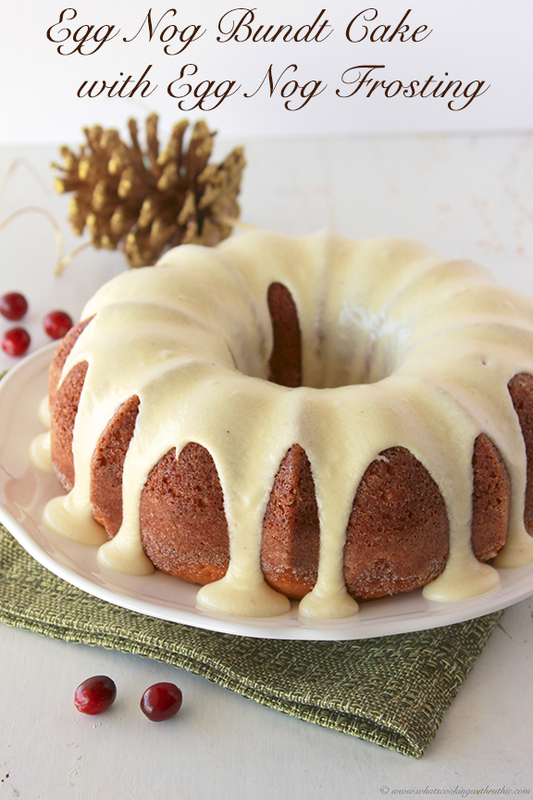 Might just make it for Thanksgiving desert cause everyone deserves something sweet. Yum! Does it get any better than this! 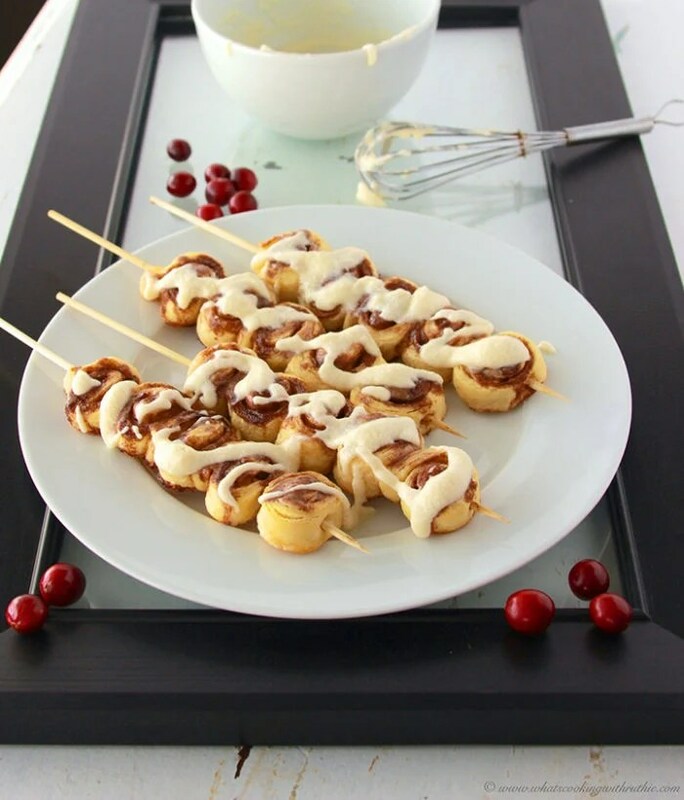 Thank you for sharing – what an easy recipe!